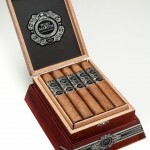 The Pedro Martin Maduro and Ruby cigars are set to be re-released at IPCPR this month. These medium to full body, full flavor cigars include the traditional Pedro Martin blends with a brand new look and feel under the same watchful eye of Arsenio Ramos in TABASA ESTELI NICARAGUA. Set to incorporate the customary feel of old world Cuba, family tradition, and a matter of pride, Gurkha has paired with Maria Martin to honor the famed master blender of cigars himself: Pedro Martin, with a brand new band and box. The Pedro Martin Maduro includes a Mexican San Andrés Wrapper, Nicaraguan Maduro Binder, and Nicaraguan Filler to incorporate the flavors of spice, caramel, sweetness, and cocoa. The Pedro Martin Ruby includes a Red Colorado Corojo Wrapper, Nicaraguan Binder, and Nicaraguan Filler for another medium to full body profile. Both cigars will be available in the following three sizes: Robusto (5×50), Toro (6×52), and XO (6×60) with an MSRP set between $7.50 and $10.10 per cigar. 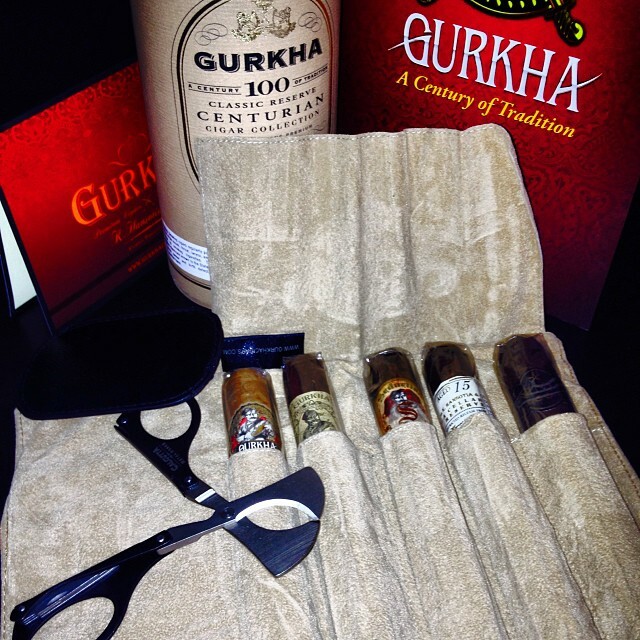 The Gurkha Ghost IS NOW appearing at a cigar store near you! Along with the 125th Anniversary, this cigar was launched at the recent IPCPR trade Show in Orlando, FL. Ghost is a sleek and alluring cigar, showcasing a dark Brazilian, Arapiraka Maduro wrapper, complemented by an aged Dominican Criollo 98’ binder and carefully selected Dominican and Nicaraguan fillers. 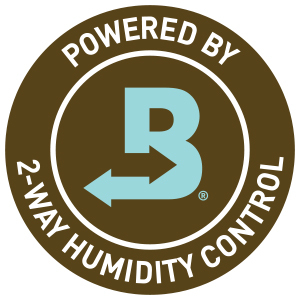 This is a rich, medium bodied cigar with a multi-layered flavor profile providing sweet and earthy undertones tones with lingering flavors of cocoa and cinnamon. The Ghost band artwork features a detailed design, incorpating a unique holographic foil pattern, using state of the art printing techniques. Ghost will be available in 4 sizes: 5 x 52 Shadow, 6 x 54 Asura, 6 x 52 Angel Torpedo (Tubo) and 6 x 60 Exorcist and will be appearing at cigar stores nationwide this October! 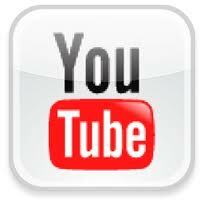 Posted in Cigar News, Gurkha	Tagged Gurkha Ghost....Now Out! 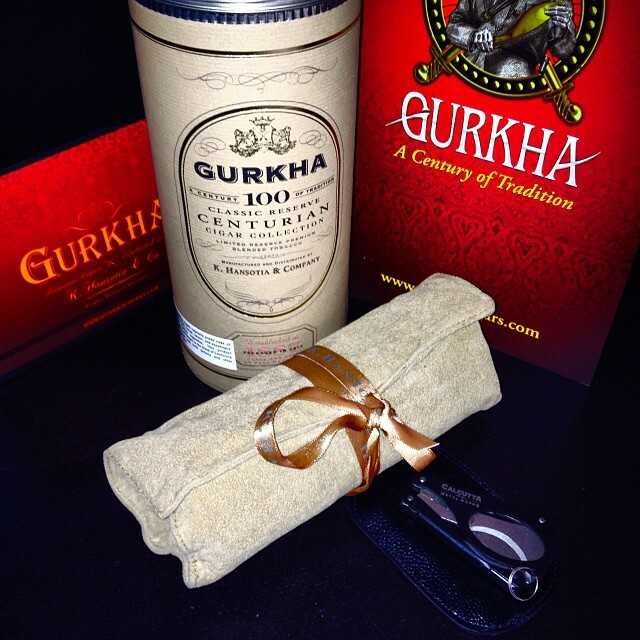 The Gurkha Ghost will soon be appearing at a cigar store near you! Along with the 125th Anniversary, this cigar was launched at the recent IPCPR trade Show in Orlando, FL. Ghost is a sleek and alluring cigar, showcasing a dark Brazilian, Arapiraka Maduro wrapper, complemented by an aged Dominican Criollo 98’ binder and carefully selected Dominican and Nicaraguan fillers. This is a rich, medium bodied cigar with a multi-layered flavor profile providing sweet and earthy undertones tones with lingering flavors of cocoa and cinnamon. As part of the celebration and hype surrounding this exciting new release, Gurkha teamed up with Rolls Royce Motor cars , where a sleek 2012 Rolls Royce Ghost was on display at the Gurkha booth. As part of the promotion with Rolls Royce, customers also had the opportunity to test drive the Ghost outside the convention center. “I think the cross promotion between Gurkha and Rolls Royce was a great fit between our two brands,” said John McElwee, Sales Director of Rolls Royce Motorcars Orlando. “We wish Gurkha every success with the launch of their Ghost later this year”.